Before I write anything else, I have some unfinished business with a certain master detective – this is the final part of my Quest for Sherlock Holmes and round two of Holmes vs. Holmes! Which Sherlock is the best? 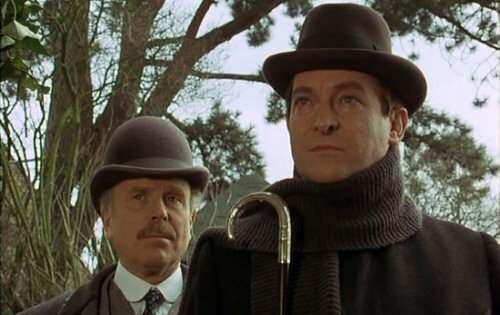 There were two great television adaptations of The Hound of the Baskervilles in the 1980s, one with Ian Richardson and the other with Jeremy Brett. In today’s double-header of reviews, which are based on earlier German-language articles, I have looked at both movies in detail and found some surprising differences. Both have their advantages and disadvantages and I tried to be neutral in the reviews, but my favourite version is, of course, the one with Jeremy Brett. Maybe there’s a bit of that coming through in the articles, which are less about the DVDs than about the movies themselves. Note that this will probably be the last of my Sherlock Holmes reviews – there are three other movies from the Granada series, but I have already written about them a little in the review of the third boxset and since they are the least successful parts of the series, I will skip them for now. The sad news keep coming… the British actor and filmmaker Richard Attenborough passed away yesterday. The older brother of David Attenborough was 90 years old and his work both in front and behind of the camera was so vast that I won’t even begin to describe here it when the Guardian’s obituary and their film clip collection does it so well. He was one of the great ones of the British film industry, but at the same time a really humble man with many charity projects who never wanted to be just a movie star. 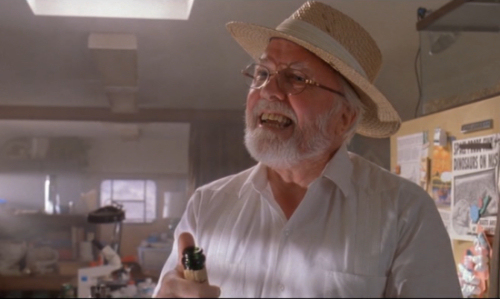 Richard Attenborough popping a champagne bottle in Steven Spielberg’s Jurassic Park in 1993. More sad news from Hollywood – Lauren Bacall has died at the grand age of 89. While she will be mostly remembered by her professional and private partnership with Humphrey Bogart, she had a very distinguished film career in her later life and was even active until shortly before she passed away. She was an actress with attitude and never held back when it came to voice her opinions. Read the Guardian Obituary all the way to the end for a lovely anecdote about her feelings for the modern film industry. 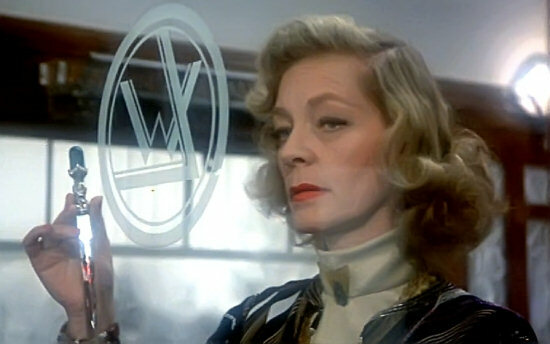 Lauren Bacall presenting the murder weapon in Sidney Lumet’s Murder on the Orient Express in 1974. Yesterday, the incredibly sad news that Robin Williams had died made the rounds. He apparently took his own life in a battle against depression, but this is not a time to talk about his death, but about how much joy and laughter he created. 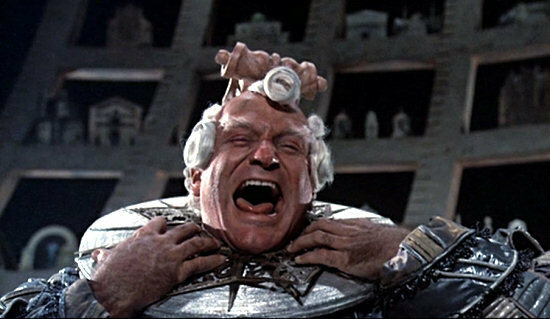 He was such a brilliant comedian, but also a very serious character actor, although he will mostly be remembered for his completely out-of-the-world improvisation skills. As a guest on television shows, he regularly had his hosts in stitches like in this 2002 interview with Michael Parkinson and his regular and almost anarchic visits to the Daily Show had similar effects on Jon Stewart. I could go on and on, but The Guardian has a wonderful obituary with a few additional articles about him very much worth reading. Robin Williams was one in a million, there will never be anyone like him again!